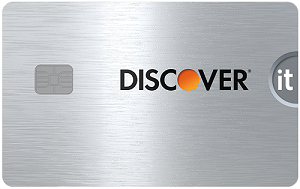 The Discover it® chrome is a good card for people looking to complete a balance transfer in a decent amount of time or for people who want to finance a purchase. The intro 0% for 14 months on purchases and balance transfers, then 14.24% - 25.24% Variable APR can provide you with the time you need to pay off your balance without accruing interest. Also, if you’re someone who spends $333 or less a month on gas and dining, you’ll benefit more from the cash back program more than someone who spends over $333 (since there is a cap on 2 percent categories). This card isn’t designed for those who need a long amount of time to pay off their debt since the intro period is subpar. You can easily find a balance transfer card with a longer intro period. If you’re someone whose goal is to earn cash back, you can do better with other cards that offer a flat rate for all purchases without special categories or quarterly maximums, like the Citi® Double Cash Card – 18 month BT offer. If you spend over $333 a month on gas or at restaurants, this card also isn’t for you since there is a cap on the higher rate — you’d be better with a high flat-rate card. The Discover it® chrome offers a decent cash back program earning you 2% cash back at gas stations and restaurants on up to $1,000 in combined purchases each quarter. 1% unlimited cash back on all other purchases - automatically. This is an added bonus since most balance transfer cards lack a rewards program. Perhaps the best bonus of this card is the Cashback Match™ you’ll earn at the end of 12 months of card membership (new cardmembers only). This is an exclusive offer that Discover automatically matches all the cash back you've earned at the end of your first year. Among balance transfer cards, this card falls short in the length of the intro period and the balance transfer fee. You can find balance transfer cards with longer intro periods such as 18 or 21 months and cards like the Citi® Diamond Preferred® Card*. Competing cards can provide you with more time to pay off your balance and save you money on the transfer fee. Regarding the rewards, there is a quarterly cap on the higher rate, limiting the amount of cash back you can earn at the higher rate. Check out other cash back cards without caps. Cashback Match™: Discover automatically matches all the cash back you've earned at the end of your first year. Simple cash-back redemption: Easily redeem cash back at any time and at any amount. Your cash back is valid even if you close your account. Freeze it®: Lost your card? Easily freeze new purchases while you look for it. This can be done online or in the app. Also, Discover will not authorize cash advances or balance transfers during this time. Free FICO® credit score: Receive your credit score for free each with Discover Credit Scorecard. Your score will be updated every 30 days. This is a good way to stay on top of your credit. 100 percent U.S.-based customer service: Speak to a representative 24/7 to answer your questions. No penalty APR: Discover won’t punish you for paying late, so your interest rate will remain the same regardless of a late payment. $0 fraud liability: If fraud is found on your account, you won’t be held responsible. 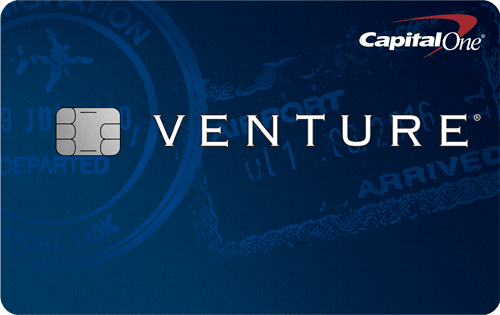 To get the most value from this card, be sure to transfer your balance as soon as possible. The balance transfer period varies, so if you can’t complete your transfer right away, refer to your cardmember agreement for the exact date the offer expires. If you plan on making a large purchase and taking advantage of the 0% intro APR period, make the purchase soon after opening the card. Once your transfer or purchase is completed, make it a goal to pay off your balance before the end of the intro period so you aren’t charged interest. A balance transfer with the Discover it® chrome cannot exceed your available credit limit. That includes the amount you transfer plus the balance transfer fee. For example, if you have a $7,000 credit limit, you can’t transfer a balance that is $10,000 since that’s over your credit limit. You also won’t be able to transfer a balance of $7,000, because the balance transfer fee will put you over the limit. The Discover it® chrome has a good cash back rate for people who spend at gas stations and restaurants. You’ll earn 2% cash back at gas stations and restaurants on up to $1,000 in combined purchases each quarter. 1% unlimited cash back on all other purchases - automatically. Discover also provides a Cashback Match™: Discover automatically matches all the cash back you've earned at the end of your first year. This is a great added bonus on top of the cash back you already earn from new purchases. Just don’t use the prospect of cash back as an excuse to overspend because you’ll risk falling into debt. Depending on your spending habits, you may want to check out a card that offers a different cashback program, like the Discover it® Cash Back. 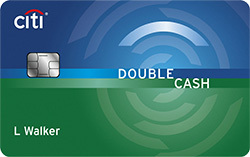 This card is similar to the Discover it® chrome, but it has rotating cashback categories. You can earn 5% cash back at different places each quarter like gas stations, grocery stores, restaurants, Amazon.com and more up to the quarterly maximum, each time you activate, 1% unlimited cash back on all other purchases - automatically. The quarterly maximum is $1,500, allowing you to earn up to $75 cash back in the 5% categories each quarter. Purchases over $1,500 in the bonus categories earn an unlimited 1% cash back. That’s compared to the Discover it® chrome which earns 2% cash back at gas stations and restaurants on up to $1,000 in combined purchases each quarter. 1% unlimited cash back on all other purchases - automatically. The Discover it® chrome may be more beneficial if you frequently spend on gas and dining, but if you don’t spend in those categories and don’t mind rotating bonus catgories, the Discover it® Cash Back may be a better choice. 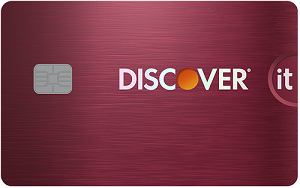 While the cashback programs differ, both cards have the same new cardmember offer where Discover will automatically match all the cash back you earn at the end of your first year. Rewards 2% cash back at gas stations and restaurants on up to $1,000 in combined purchases each quarter. 1% unlimited cash back on all other purchases - automatically. 5% cash back at different places each quarter like gas stations, grocery stores, restaurants, Amazon.com and more up to the quarterly maximum, each time you activate, 1% unlimited cash back on all other purchases - automatically. People who spend $333 or less a month on gas and dining will benefit most from the Discover it® chrome. This card also comes with a decent balance transfer offer that can be enough time to pay off your debt depending on you needs.